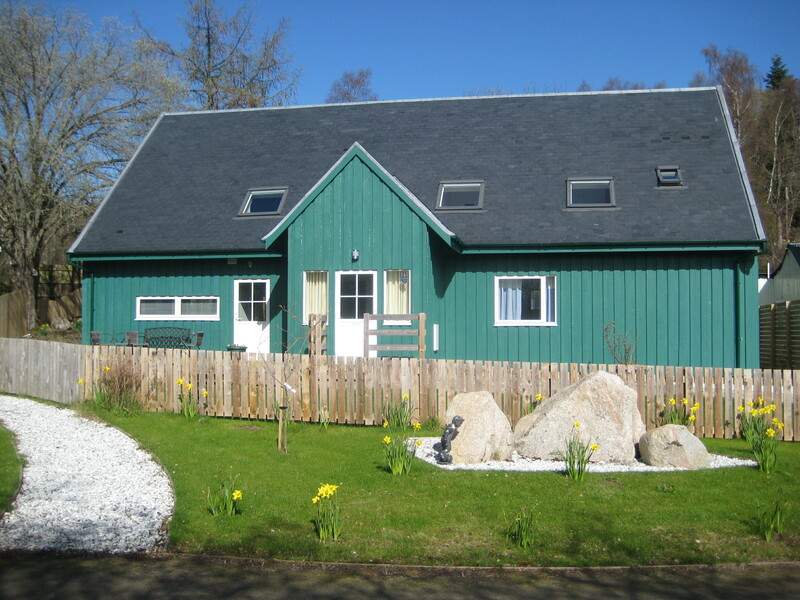 Alba Highland Cottages are two newly built accessible cottages in the beautiful setting of Cairngorms National Park. There is plenty to see and do in the local area, particularly for lovers of the outdoors. Situated in a quiet hamlet, the cottages are just a mile from Boat of Garten and five miles from Aviemore on Speyside. Surrounded by woodland, the area is frequented by wildlife including Red Squirrels,Roe Deer and Pine Martens as well as a wide range of birds. The Strathspey Railway runs steam trains through Boat of Garten throughout the summer and at holiday times in the winter. The RSPB center at Boat of Garten is three miles away and has wheelchair access. It is famous for its Ospreys and their nest can be easily seen on camera at the main center. The Cairngorm Mountain Railway and Ski Resort are just over 10 miles away and give excellent views across the valley and beyond. The two adjacent cottages, Ptarmigan and Osprey, are furnished and equipped to a high standard. Osprey sleeps 10 and Ptarmigan six. Although built over two levels, the ground floor is fully wheelchair accessible with the living area, twin bedrooms and wet rooms all located on the ground floor. Outside there is adjoining parking and the cottages are accessible by ramps. Ptarmigan also features a wood burning stove. Free WIFI is included in both cottages and pets are also welcome. Free use of a wheelchair can be organised if required. Inverness and Loch Ness are within 30 miles ,similarly Balmoral and Braemar to the east are within travel distance. Dundee,Edinburgh and Glasgow are also less than three hours away, as is Skye.